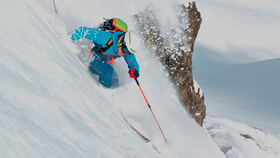 Austrian Dynafit athlete Johanna Erhart knows what it comes down to in all matters competition. At the young age of 13, she finished her first half-marathon, and five years later her first full triathlon. 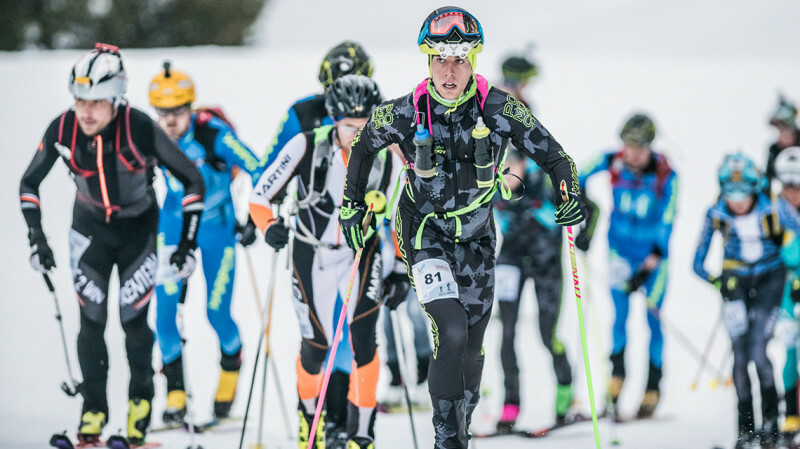 Five years later, she discovered her passion for ski mountaineering races, and it didn’t take long after that for her to become a member of the Austrian National Team for that sport. 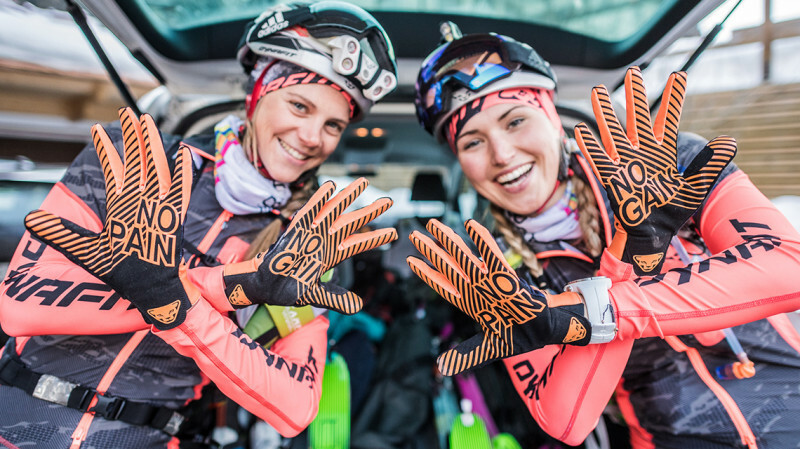 Since that time, she has racked up many achievements, for example 2nd place in the most recent Sellaronda Ski Marathon and a top finish in the World Cup. As an expert, she is going to give us a look at competition at the ISMF World Cup, plus she will explain key information and facts of each discipline. Essentially, all national athletes can qualify for the ISMF World Cup. Countries do, however, have differing criteria. Each country’s national federation determines specific races where independent athletes can qualify. National Team athletes who have already proved their performance ability the past season almost always have a standing starting position at the World Cup. 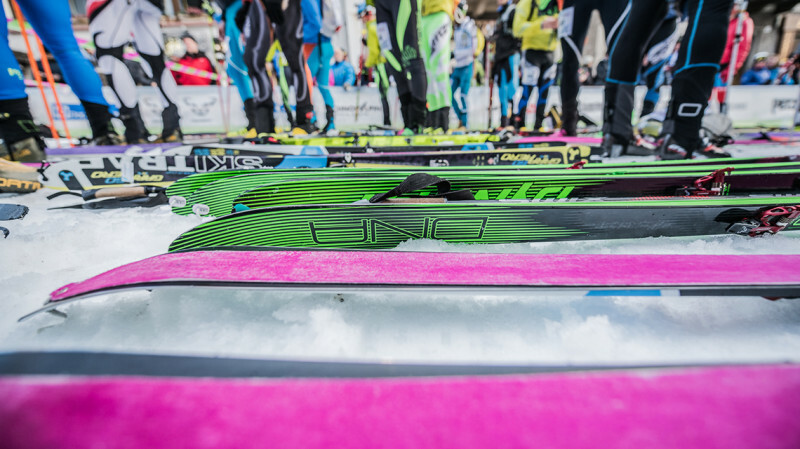 In order to be permitted to start at a ISMF World Cup, the national federation must declare its athletes to the ISMF. After that, each athlete receives a license with which he or she is eligible to start. This license is really all about being able to show the athlete has medical approval to participate in performance sports. In addition, the athlete must adhere to international anti-doping regulations, which he has confirmed with a signature. In the World Cup there are three disciplines: Individual, Sprint and Vertical. At a major event, such as the European or World championships, additional disciplines included are Relay and Team. 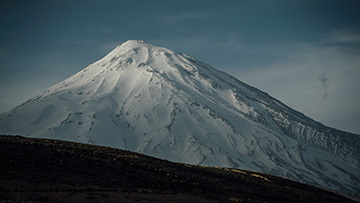 The Individual race is a competition in the back country where technical ability on the climb but also on the downhill is required, as vertical passages requiring crampons and climbing sections are part of the course. During the uphill to downhill transition you cannot lose too much time, as a lot of repetitive routine is involved to stay in the front of the pack. 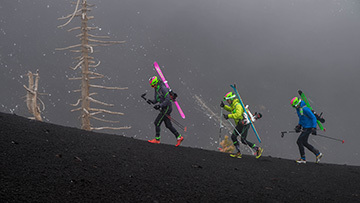 The Individual race is considered the pinnacle event in the World Cup. There are also a few age groups at the ISMF World Cup: juniors, espoirs and open. At major events, very young athletes (cadets) are also included. Espoirs are all athletes age 21-23 although they are also ranked in the open division. At the ISMF World Cup one also has rankings for espoirs to ease the transition from the junior division to open. Anti-doping regulations of the International Anti-Doping Code must be followed. There are drug tests after every competition. Every team athlete is in addition required to be read to present him- or herself at any time for drug tests. Based on the ADAMS system, which was developed by WADA, every athlete who is a member of a national team must always notify officials of his or her whereabouts each day. That means athletes must be available for testing every day. 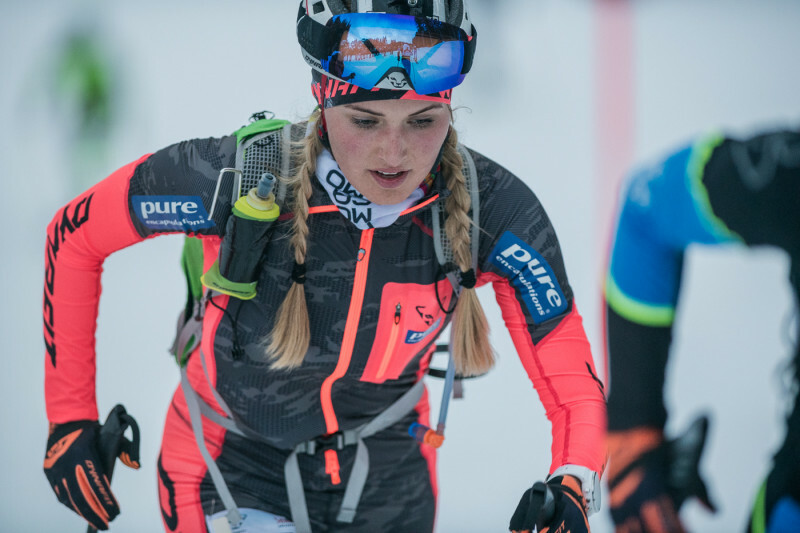 The Sprint race goes off in this way: There is a course you need to complete that has a climb with a section where you must carry your skis and a downhill of about 100 meters of vert. First, each athlete must complete the course once with the best-possible time. Based on this time, the top 30 athletes are selected and then divided into heats which then follow a disqualification “winners-take-all” system. The top two in every heat moves on immediately. The third or fourth athlete still has the chance based on his or her qualification time to move into the next round of heats. The final six athletes move into the final to compete head to head. This final determines the overall winner. In every heat all athletes must compete against each other and must complete the course. In the Sprint, even tiny mistakes can play a deciding factor. Any incorrect move in the transition or some lack of attention to gear can cause a loss of the lead. 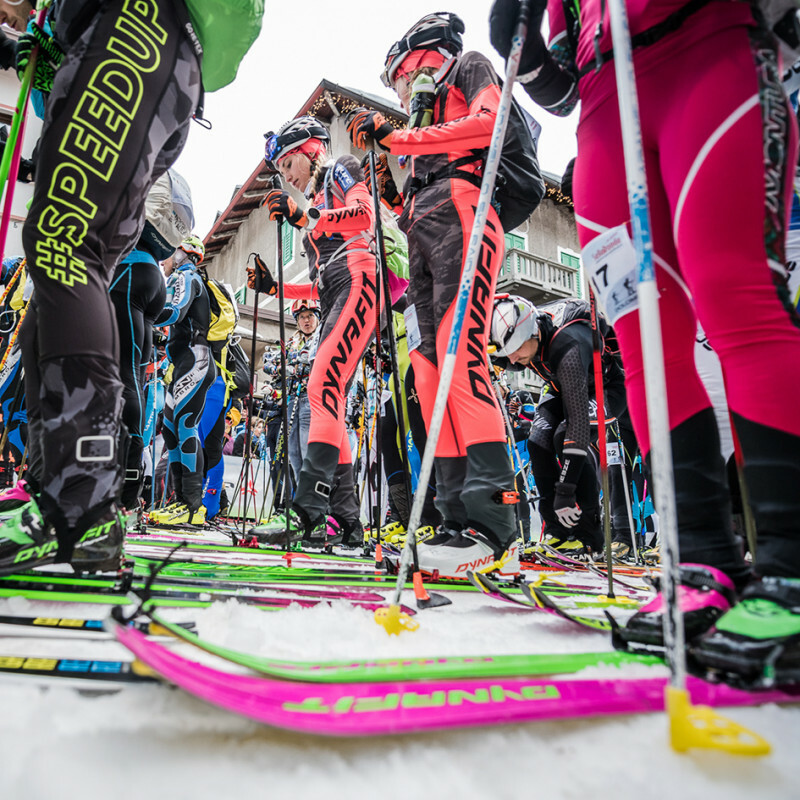 The Sprint is usually raced on one piste in order to create audience appeal and attention. 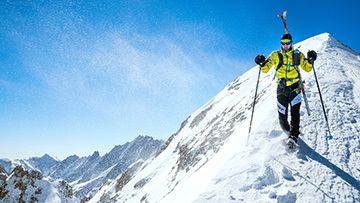 In the Vertical race, it is all about a climbing competition on piste where approximately 600-900 meters of vert must be completed. The Vertical event is well suited for crossover athletes or top athletes from other sports. This is really all about an athlete’s endurance and a high threshold for pain. Technical ability is not required in the Vertical event.